Q: Why did I get into personal styling? A: I’ve had a passion for fashion for as long as I can remember, always having a pulse on trends and knowing what works for my own personal style. I would help friends find an outfit for an event or the perfect pair of shoes to wear for work. Q: Where do I start when first working with a client? A: I strongly believe the magic starts in the closet. Many of us have decades of clothing in our closets in all shapes and sizes. We’ve gone through significant life events and our clothing reflects what we’ve gone through and where we are in our life from starting our careers, marriage, having children, weight loss, divorce, and more. 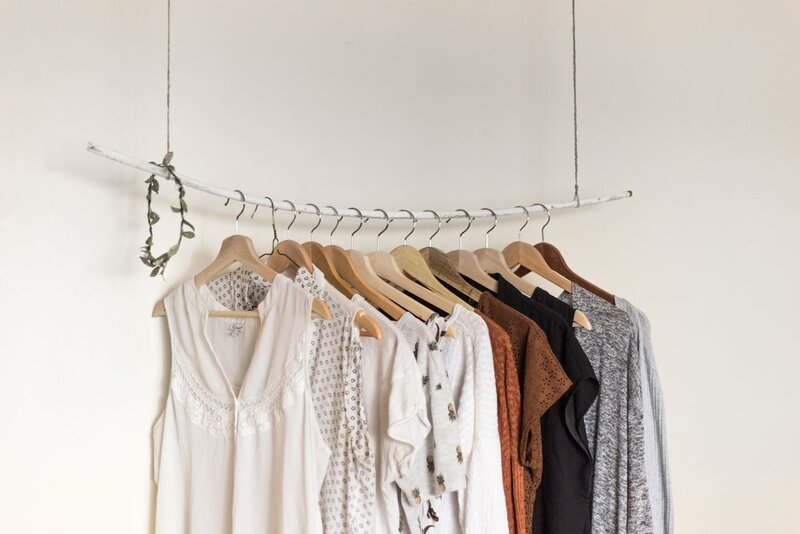 When we start with your closet, we will weed out the clothes that don’t fit your current lifestyle while creating a wardrobe that will evolve into where you want to be. Then, my personal shopping packages are focused on building out your wardrobe based on your lifestyle needs such as Wear to Work, Casual Wear, Night Out. When we’re finished, you will never have to worry about what to wear because you will have a Look Book customized with all of your new outfit combinations, a mood board illustrating your style, and tips on how to dress for your shape. Q: How would I describe my personal style? A: My style has definitely evolved over the years and more so in the last three months, when I quickly realized I had a closet full of office wear and very little casual wear. Currently, my overall style vibe is west coast casual meets coastal living. I love all shades of blue, so you’ll find me wearing something blue every day. Bottom line, I like to be comfortable, casual, and look pulled together 95% of the time. Q: What is the best style advice I’ve ever received? A: Be a stiletto in a room full of flats.